1. Preheat your oven to 200c/400f/gas 6 with a baking tray in it so the tray gets hot too. 2. 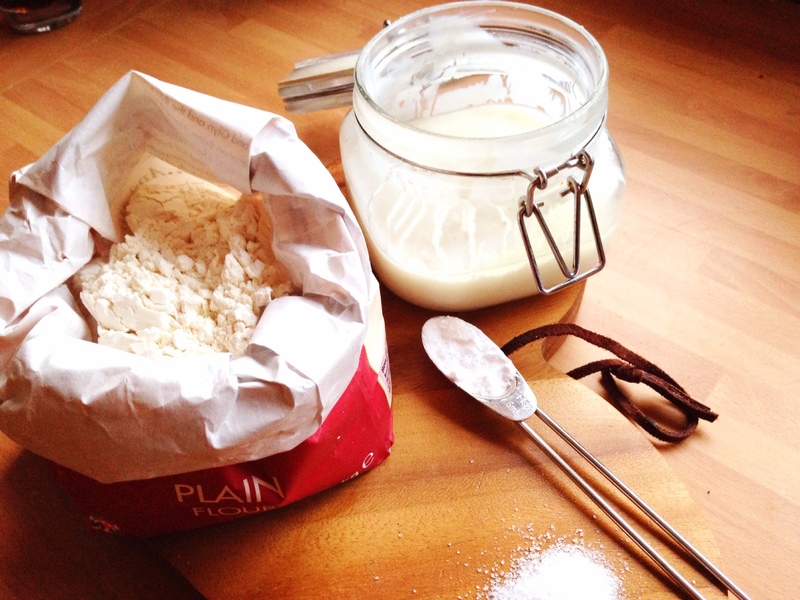 Sieve your flour and bicarbonate of soda into a bowl and then stir in the salt. 3. 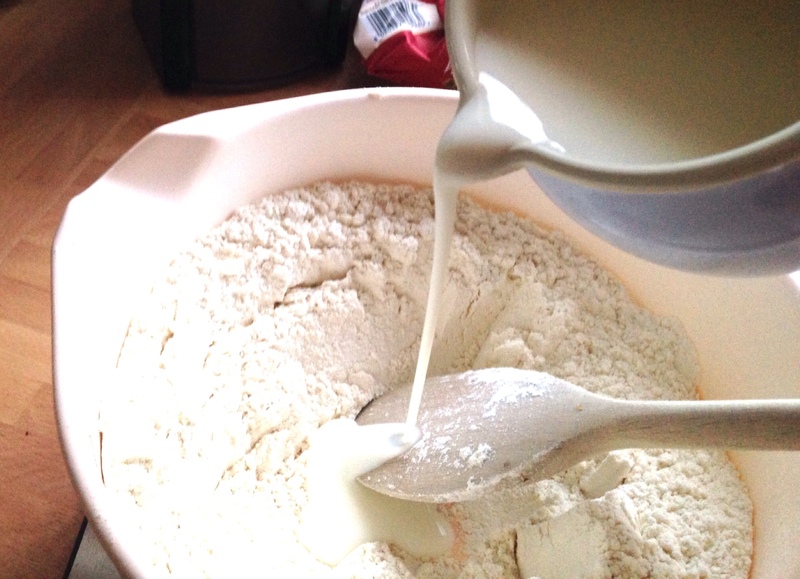 Make a well (hole in the mixture) in the middle of the bowl and put your yogurt or buttermilk in this gap. 4. Use a wooden spoon to mix it all in to a soft, sticky dough. 5. 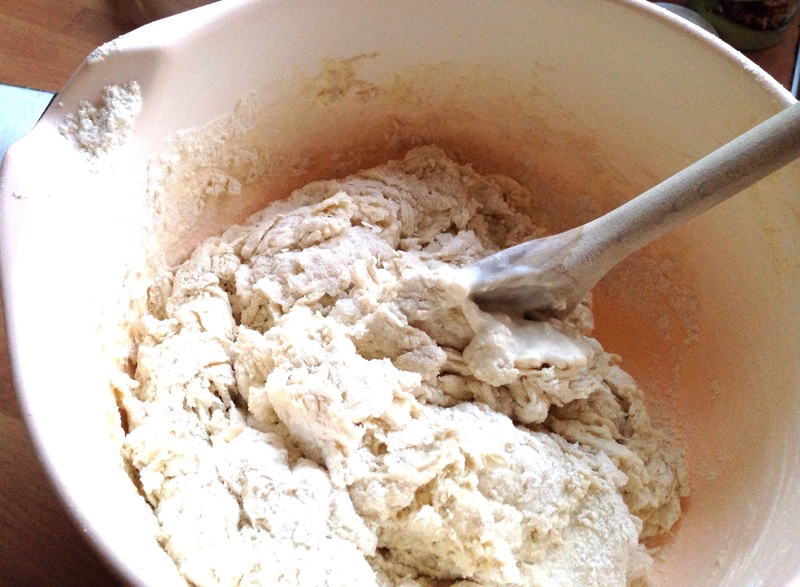 Tip the dough onto a floured surface and give it a quick knead. Mold into a nice round shape. 6. Get a grown-up to take the hot baking tray out of the oven and put your dough onto it. Make a nice deep cross-cut into the dough. 7. Put it into the oven for 40-45 minutes. You’ll know it’s ready if it makes a hollow sound when you tap it on its bottom. 8. Allow to cool until your soda bread is warm. It tastes extra yummers when warm! This bread isn’t great for sandwiches, but it’s great to dunk in soup, eat with cheese and chutney, or as yummy toast. 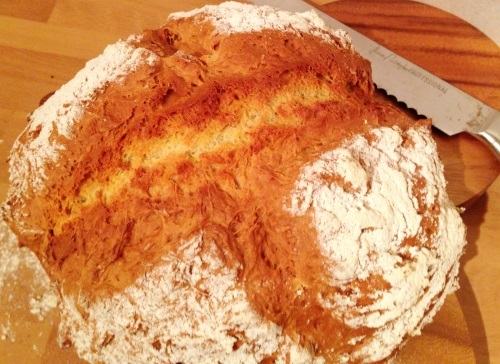 How Does Soda Bread Rise? 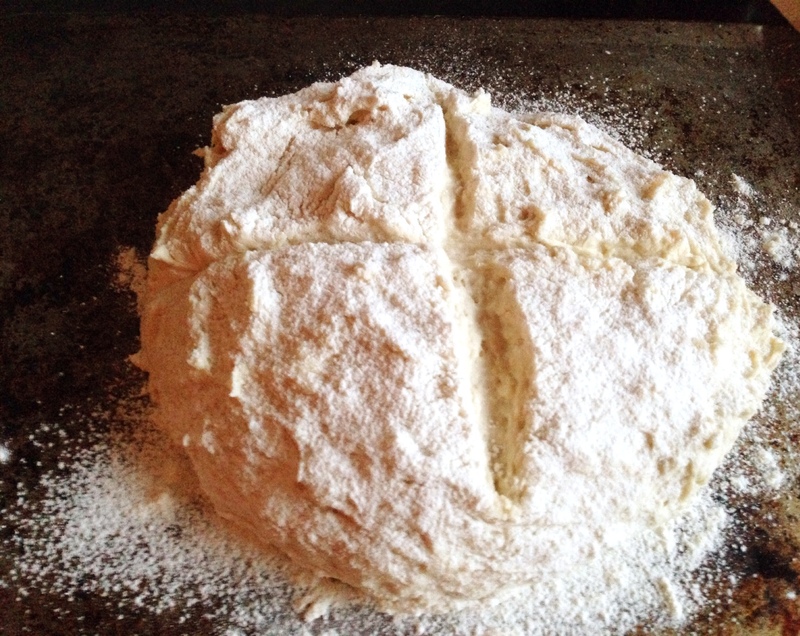 So if we haven’t got to wait around for yeast to make our dough rise, how does soda bread work? There is something in buttermilk and yogurt called lactic acid (remember this from when we made our own yogurt?). It’s the lactic acid that reacts with the bicarbonate of soda to make the carbon dioxide bubbles that makes our soda bread dough rise. So it’s a chemical reaction. The bicarbonate of soda is alkali, and it bubbles when it comes into contact with the acid in the yogurt. You can see these air bubbles when you cut into your bread and see the gaps in the mixture. Without these bubbles, our bread wouldn’t rise. But, the one problem with using this chemical way of making dough rise is that the reaction happens straight away. This is a good thing for us, as we don’t have to wait for the dough to rise, but it also means that we have to mix our ingredients quickly and get it into the oven right away. 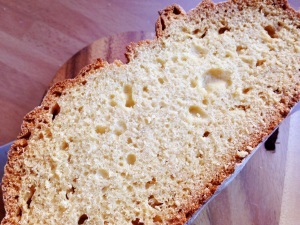 Did you enjoy making this quick bread? How did it turn out? If you have a bit more time to make bread, then check out our other bread recipes.